WHITTIER – Rio Hondo College will commemorate Veterans Day from 1 to 3 p.m. Tuesday, Nov. 13 with a program that honors World War II veteran and former College vice president Yoshio C. Nakamura and features guest speakers and a presentation of the Rio Hondo College Veteran Memorial Coin to attending veterans. The event, which will take place at the Veterans Memorial on the Rio Hondo College campus, will include a Presentation of Colors by a Los Angeles Sheriff’s drill sergeant and a display of military vehicles. Guest speakers include veteran Kevin Skinner and Nakamura. The event will be emceed by Rio Hondo College Veterans Service Center Counselor/Coordinator Arely Castaneda and feature a welcome address by Superintendent/President Teresa Dreyfuss. Local, regional and state elected officials are expected to present certificates of recognition. Nakamura was interned by the U.S. with other Japanese Americans, first at the Tulare Race Track and later at the Gila River camp in Arizona. He reported for active duty as an enlisted reserve, went through basic training and joined the 442nd Regimental Combat Team in France. The team was composed of Americans of Japanese ancestry and became the most highly decorated unit in U.S. military history for its size and length of service. He was discharged as a staff sergeant. After the war, Nakamura earned BFA and MFA degrees from USC and began teaching at Whittier High School. When Rio Hondo College was established, he was hired as the founding instructor and chair of the Fine Arts Department. He retired as a vice president of Rio Hondo College in 1992. “It is a tremendous privilege for the Veterans Service Center to get the opportunity to honor Yosh Nakamura, an outstanding WWII veteran with a special connection to Rio Hondo College,” Castaneda said. 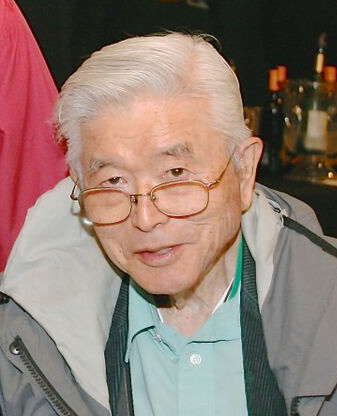 Nakamura has been honored for his service with the Bronze Star Medal, Combat Infantryman’s Badge, European, African-Middle Eastern Ribbon with 3 Battle Stars, Good Conduct Medal, Presidential Unit Citation with Oak Leaf Cluster, the French Legion of Honor Medal and, with other Japanese American veterans of World War II, the Congressional Gold Medal in 2011. RHC_VET_1: Rio Hondo College will honor World War II veteran and former College vice president Yoshio C. Nakamura during its Veterans Day program on Nov. 13. Rio Hondo College will honor World War II veteran and former College vice president Yoshio C. Nakamura during its Veterans Day program on Nov. 13.